Maccabi Tzair Tikva is a branch of Maccabi World Union, a Jewish youth movement whose directive is to pass on Jewish culture and traditions to everyone in the Tnua (our youth movement), helping them find and strengthen their Jewish identity and connection to Israel - and ultimately giving them a sense of belonging to the Maccabi Tzair Tikva family. 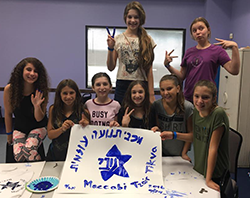 Our madrichim (leaders) have been trained to guide the young chanichim (kids) and bring a special meaning to the meetings, programs and events. We have groups for every age level with age appropriate activities within each group. 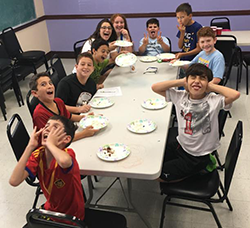 Our older chanichim meet every week with their friends and madrichim and engage in an experience based on non-formal education through the use of games and entertainment. Chanichim are encouraged to connect with nature and participate in social interactions with their friends. 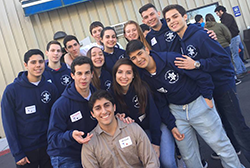 Together, they learn and develop an identity as part of the Jewish community. Field trips, sleepovers and many special events are planned for them to have an unforgettable time. Register here or call Lisa Lundy at 954.434.0499, ext. 202 or llundy@dpjcc.org. Additional fees may apply for field trips and overnight events. For more information, email Perla Sananes at psananes@dpjcc.org. SOM is a year-long program where leadership skills are taught through non-formal education to train and enable this age group to become madrichim in the Tnua (youth movement). 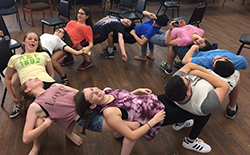 SOM's main goal is for the teens to establish a sense of belonging, develop friendships, increase Jewish identity and global awareness. 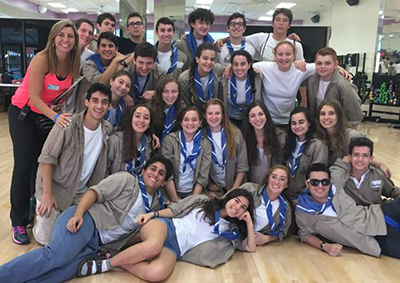 They will also learn about culture and leadership, all of which will enable the soon-to-be-madrichim to become well-rounded individuals with strong values to practice and teach. Participants in this program will be awarded a leadership certificate along with service hours (at least 300 per year).